Description Kept in the oversize photo collection. Written in red ink on face of photo: Hallinan Elementary Playground Dedication Oct. 25, 2007. Lake Oswego, Oregon 97034. More playground not pictured. 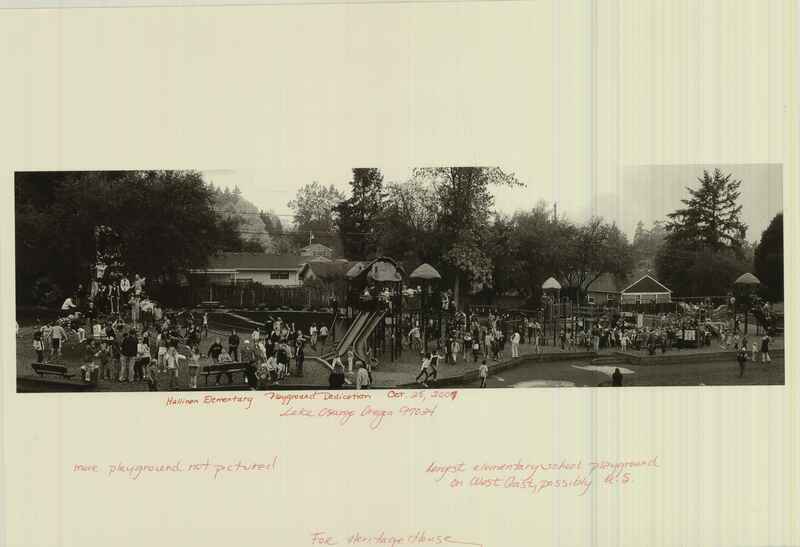 Largest elementary school playground on West Coast, possibly U.S. For Heritage House. Physical Description H 13"" x W 19""